In a remote area of Alaska, students this year got a wonderful surprise as an organization called “Prom Princess Program” made it possible for them to not only have a prom, but choose beautiful dresses that they could never afford on their own. The volunteers of the Seattle-based organization gave these students a night they’ll never, ever forget. [pullquote]We each have the opportunity to make a big difference in the world. All we have to do is volunteer. [/pullquote]The scene of the Boston Marathon Bombings on April 15th was utter, tragic chaos. Yet as the smoke cleared and the extent of the devastation became visible, people did not just stand by, transfixed and horrified. 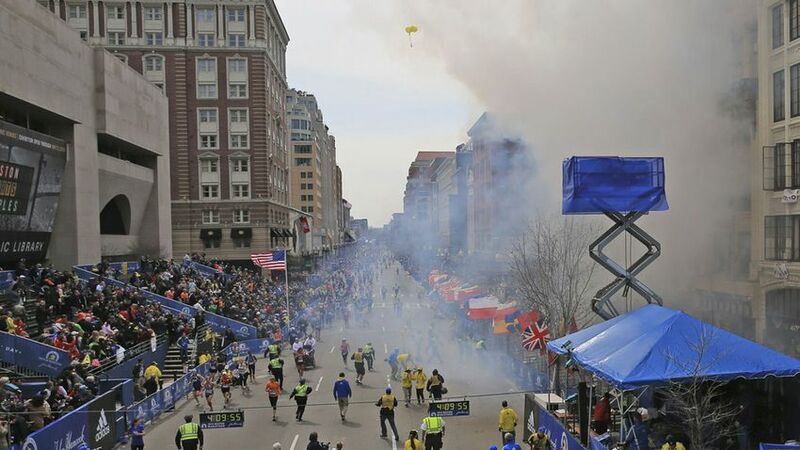 Reports poured in after that day of bystanders rushing forward to help first responders, vastly increasing the ability to help those injured by the terrible tragedy, and spurring a country-wide movement to support Boston and its victims in the aftermath. When Ingrid and Manuel struck Mexico in September, rescue and relief operations were extremely difficult due to lack of access – destroyed roads and continuing heavy rains slowed the arrival of the Mexican Red Cross and other agencies. With their communities in peril, many people chose to drop what they were doing and help. These ‘spontaneous volunteers’ showed up at collection centers to package food and hygiene items and take care of those most in need until the Red Cross can get more people and supplies delivered. During the government shutdown in October, thousands and thousands of people found themselves (temporarily) out of work. Additionally, many critical services provided by government programs were suddenly suspended. Instead of resting on their angry laurels, however furloughed government employees and many others used their unexpected extra time to do some good, volunteering in their local communities. Others got in on the action, too, like the military families who voluntarily maintained the Pearl Harbor Memorial during the shutdown. This year for International Volunteer Managers Day on November 5th, the millions of volunteers who use VolunteerMatch showed their appreciation for the many volunteer managers who work tirelessly to inspire us all and enable us to make a difference. With their help, we built a Digital Volunteer Manager Appreciation Quilt, with personalized squares that carry messages from volunteers to their volunteer managers all over the country. On November 15, San Francisco transformed itself – not just into Gotham City, but into a city of volunteers. 20,000+ people came out to cheer for Miles, aka “Batkid” as Make-a-Wish Greater Bay Area granted his wish to become a superhero. Nelson Mandela’s death was felt by the entire world, and amid our sadness at his loss is our wonder at the life he lived. The best tributes honored the way he devoted himself to service, and this has inspired many others to get out and volunteer, as well. These are some amazing stories, but the truth is, inspiring volunteering moments happen every day, all around us. And perhaps that is what’s most inspiring of all – we each have the opportunity to make a big difference in the world. All we have to do is volunteer.